Great short video on why we play football! You must check it out! A few of our Cougar players are interviewed in this video. Check it out! BOOSTER BOARD MEETINGS 2nd MONDAY OF THE MONTH! Next Booster Board Meeting is Monday, May 13, at 6:00 pm! Meeting will be at the Green Mill Restaurant! Are you receiving 9th-12th Grade Email Blasts? Your Player's Name and Grade. Email Addresses that you would like to receive important updates. Attention - 2020 - Seniors and Parents! Below is the form for Senior Tributes for our Home Game Program. **It is not too early to start sending them my way! THIS IS FREE. Please have your senior player fill out form and email/scan a baby/youth picture of them along with the form. 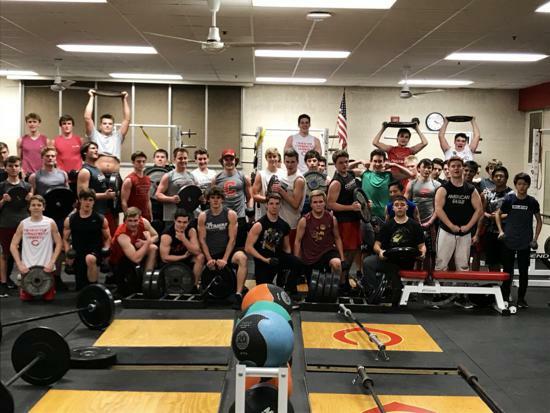 Summer Training - Registration now OPEN! Interested in Summer Football Camps? 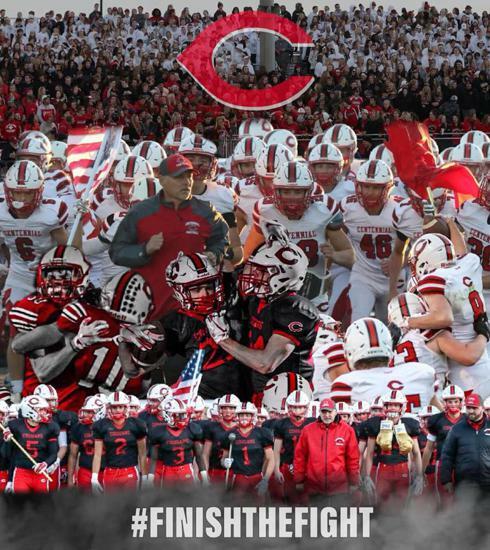 We are updating our Cougar Football Camps for summer 2019, please stay tuned. Interested in additional Summer Football Camps, please find more details at the link below or visit our Camps and Training Page. THANK YOU FOR THESE AMAZING PHOTOS! THANK YOU PARENTS! We’re the best from C. H. S. Watch the points keep growing.Cougar teams are bound to win, they’re fighting with the vim!Rah! Rah! Rah!See their team is weakening, we’re gonna win this game.Fight! Fight! Red and white! Vict’ry for C. H. S!!! Meet at the Mill! Check out our New Pull Tab Booth! Click here and Follow us for amazing events! SUPPORT FOOTBALL AND HAVE FUN!! Blaine Green Mill Restaurant and Bar is Cougar Football's official Partner! This partnership provides Cougar High School and Youth Football Programs with funds to help offset our expensive costs. Meet at the Mill, don't miss out on the fun! 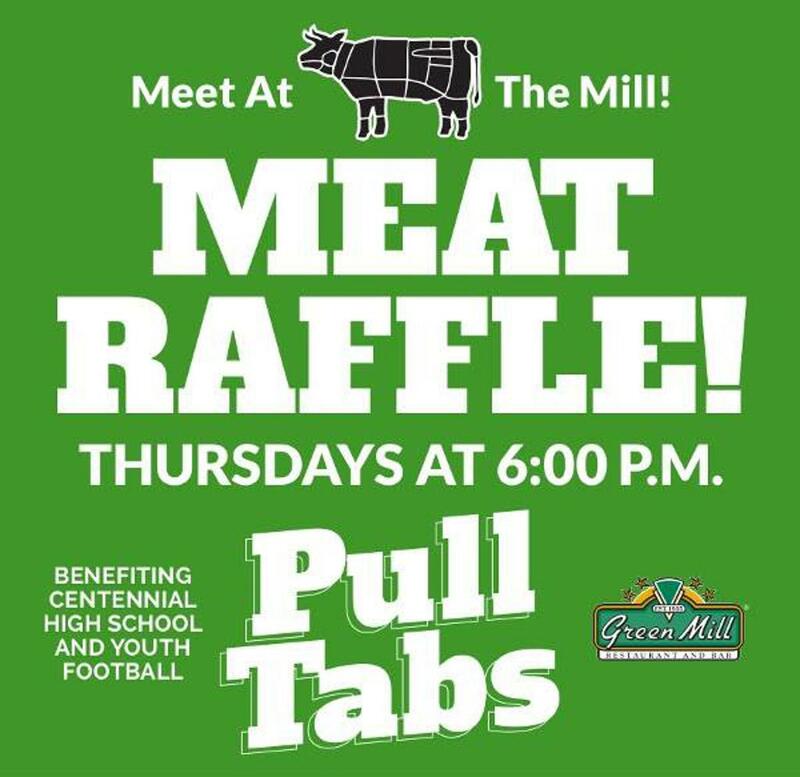 Meat Raffles - Thursday's @ 6PM and Sunday's @ 3PM. TWO VIKINGS JERSEYS raffled during the meat raffle on Thursdays! Football Tip Boards for Monday and Thursday night games, and all VIKINGS GAMES! 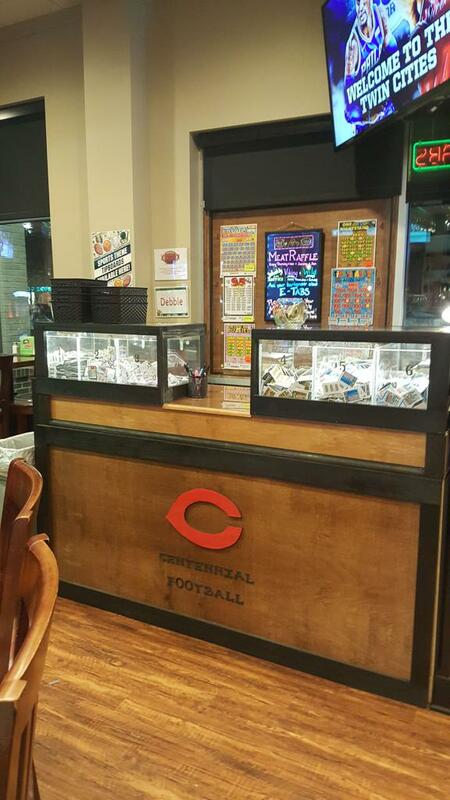 Thank you for supporting Centennial High School AND Youth Football! Click the image for our latest events!